We don't know what we don't know about what BP has done to the Gulf of Mexico . . . and all the fish in the sea. And the Angel of Oily Death is happy to keep it that way. When you're suspected of criminal acts, and surely liable for God knows how much civilly, you'd just as soon the Almighty be the only one Who knows the full extent of what you've done. I suspect that's why BP . . . British Petroleum . . . the Angel of Oily Death . . . Those Lousy Rotten Capitalist-Pig Bastards -- whatever the hell you wish to call that destroyer of worlds -- is balking at paying for long-term testing of Gulf seafood. State Wildlife and Fisheries Secretary Robert Barham says so far, BP is refusing to commit the dollars. "BP has been slower and slower in responding to us and seems to be dragging their feet in making a commitment to fund the studies that we're going to need to ensure that this multi-billion dollar industry is viable in Louisiana," said Barham. BP Chief Operating Officer Doug Suttles says the company is still considering the seafood testing plan. "Some of those requests went quite far out in time," said Suttles. "They were looking at up to 20 years. At this point in the response, it just isn't appropriate to actually look that far out." Suttles suggests that the state look at paying for the program with money BP has already pledged to the oil spill recovery effort. "The gulf research initiative, the $500 million we have made available to do long term impact assessments here in the gulf," said Suttles. Secretary Barham says if BP doesn't voluntarily agree to the long term seafood testing plan, there are both criminal and civil remedies the state can use in an attempt to force BP to pay up. 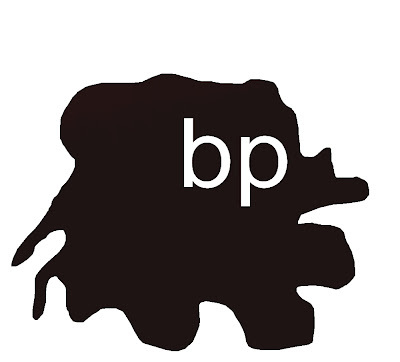 It may be more and more difficult to talk to BP," said Barham. "It may be their attorneys that we're talking to." IT'S ALL ABOUT confidence. It's about whether people are confident that Gulf seafood won't hurt them. It's about whether the Gulf fishing industry will survive or not. But, hey! The well's no longer gushing! BP figures it's not their problem -- at least not until the law tells them it is. And the "small people," fishermen and consumers alike, get drilled again.